I am currently developing my 3rd sitcom! It sounds great doesn't it? The truth is, I've gone nowhere with the first two. No matter how many times I read them or rewrite them, something doesn't feel quite right. I simply do not love them enough to even get some professional notes on them, let alone submit them to Producers. Rather than insisting on something that's not working, I started fresh with a new idea that I've been wanting to write for the last couple of years. It's not just the sitcoms that sit stored away in my computer, I also have a couple of features and various shorts, none of which I have deemed worthy enough to be shared. 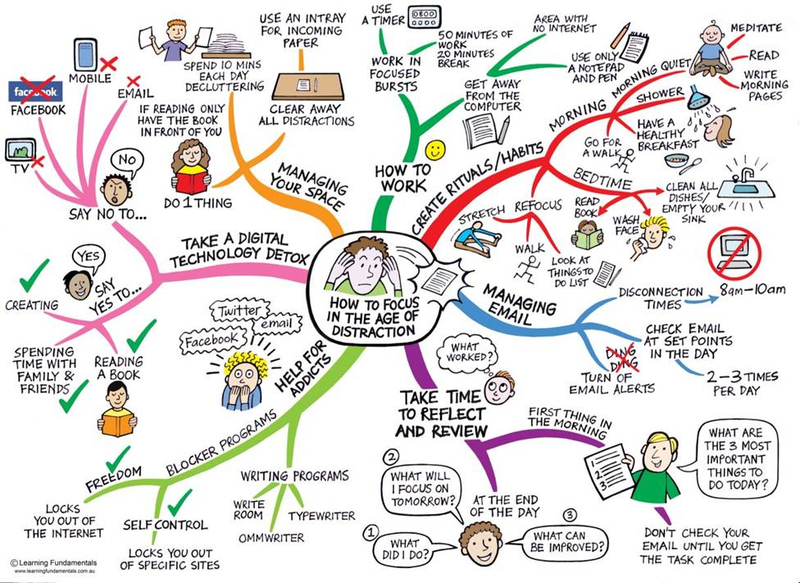 It's really bugged me though that I've not been able to just focus on one project at a time and feel the constant need to move on and start a new script. I feel like a child that desperately wants a toy but is easily distracted by a fly. Then last week I baked my favourite cake ever and I realised that just like my writing is just like my baking. 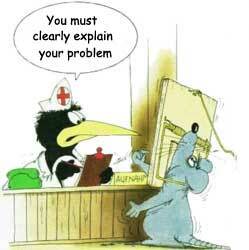 I'll explain. I've always enjoyed baking and would never miss an opportunity to do so but it wasn't until the kids came along that I started to get a little more creative and ventured into the world of so-called novelty cakes. I admit, they are not the most mouth-watering cakes out there but they can look amazing. 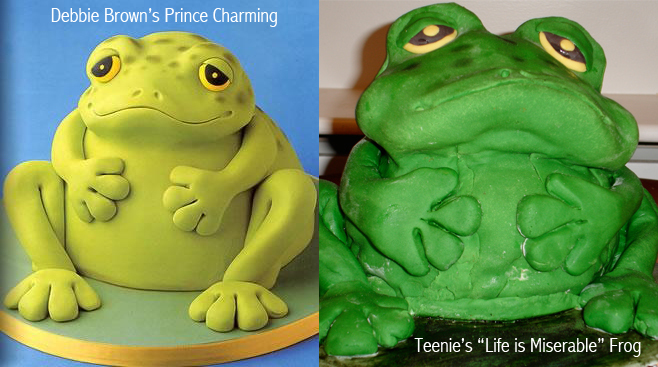 My first attempt at a novelty cake was a 3D Frog for my niece from Debbie Brown's 50 Easy Party Cakes book. I remember being praised for my cake, but you know what they say about family reading your work, well, it's the same in the cake world. It's very kind of them but I'll let you all judge it for yourselves. Let's just say, my frog wasn't very happy. A month later it was my son's 1st birthday and his poor rubber duckie cake was a complete let down. And so, the years went by and I kept on baking novelty cakes for various occasions. There were a couple that were quite disastrous, especially a 3D skull cake I baked for my little brother, but overall they were coming together quite nicely, especially the princess castle I baked for my niece's 4th birthday. With every bake, I would get more compliments and comments that I should be selling my cakes, but the problem is, when you're the baker, you know where all the cracks are. You might be able to cover them and offer the cake at a different angle for others to view but to a perfectionist like myself, it just wouldn't do. I wasn't confident enough in my work to allow others to pay for it. 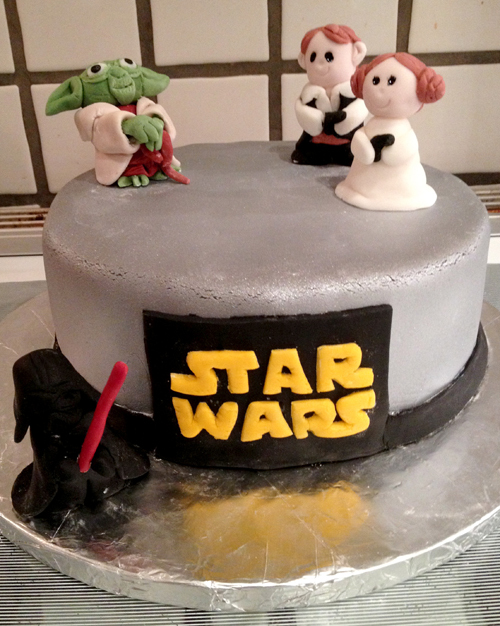 Then I baked a Star Wars cake and the response was so overwhelming that I finally allowed myself to start thinking bigger. For once, I was happy with it. It was absolutely not perfect, Yoda for example was bigger than Han Solo and Princess Leia, and Darth Vader was on the short side, but in terms of the actual cake, I was satisfied. I was ready to move on to the next stage and when a friend asked if she could hire me to bake her daughter's cake, I did not hesitate to say yes. The party isn't for another 2weeks and I'm still keeping my fingers crossed that all goes well, but I am truly excited. 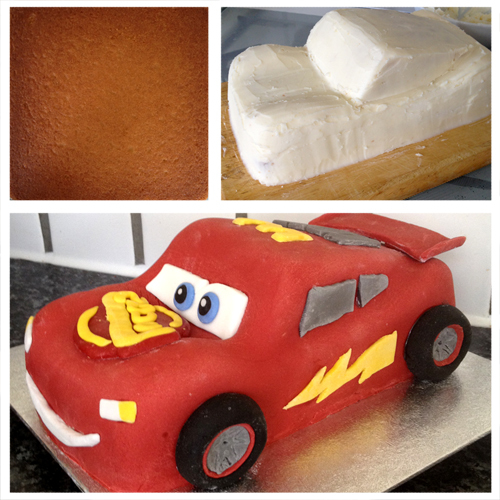 Meanwhile, I got the chance to do another 3D cake - Lightning McQueen. I hadn't done a 3D cake in a little while and I was picturing something that looked like McQueen but wasn't quite him. I baked my sponge and set of to mould it and frost it. The following day I had a look and it simply wasn't McQueen. I hesitated a little but then got a knife out and started to hack through the frosting. I was determined to make him perfect, not just something that looks like what it should be. By the time I was ready to add the sugar paste, I was satisfied that it was as good as it could be. When my son walked in from school, his face lit up and all he could say was "Wow", and we know kids don't lie (maybe sometimes). I had made my best cake ever and I was impressed by my own work. Not only was the finish to my satisfaction, but the structure itself (the sponge) was quite seamless. It's taken me 4years to finally accept that I can in fact create a cake that others will want to buy and I suddenly realised that it's for that same reason that I am yet to have a script that I am completely satisfied with. So for now, I'll keep on writing and rewriting and who knows, the day I'm happy enough with my writing and stop giving myself a hard time about it, I'll finally get the professional notes that will help me improve it further. My phone beeps indicating a message and for the 20th time I find myself typing “I’m OK, thanks”. And do you know what? I really am, in fact, I’m great. 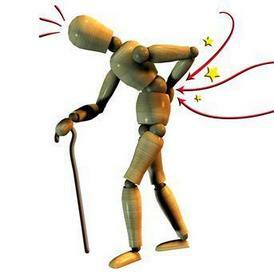 For a little while now I’ve been getting the occasional lower back pain/ leg pain typical of sciatica. I roll myself on the floor, do some stretches and presto, I’m ready to get on with my daily tasks. My husband and a good friend think otherwise, they both urge me to join them for Pilates but I shrug it away. Who has time for Pilates really? I’m a busy Mum and when the kids are finally in bed, the last thing I want to do is get into the car and drive to a class. And so I keep on moving. One Friday it all came to a standstill. I woke and couldn’t move. Turning to any side hurt, a lot! I was stuck in bed whilst downstairs my boys were having breakfast getting ready for the day ahead. Upstairs, I was immobile. I decided it just wouldn’t do. With some effort and pain, I turned myself towards the edge of the bed and rolled right off it landing flat on the ground with only my arms for support. Slowly, I got myself on all fours and then focused on standing up. It wasn’t going to happen. That was my day, I crawled down the stairs and when I finally made it after 20minutes I burst into tears. I couldn’t find anyone to help out last minute, so Taro had to stay home. It was a very long day and my greatest achievement was to get myself onto the toilet without the humiliation of having to use my son’s potty. I got prescribed anti-inflammatory meds by my lovely GP and by Monday I was mobile once again. I was cured and back to normal and I still wouldn’t go to Pilates. I’m not sure when it started again. Sometime before Christmas I started to get the odd pain here and there. These were funny pains. My leg would get numb for a short while whilst walking, sometimes it would get hot, others just feel pain. My back was also a little sore. It was always short lived and after a little spot of back exercises, I was new again. 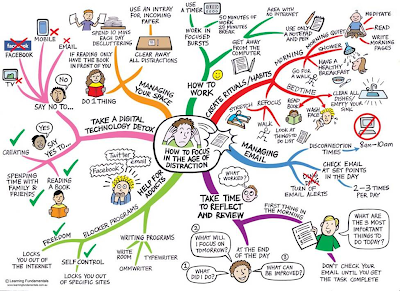 Then came the new year and my resolution to get organised meant that I needed to keep up with my to-do lists and get things done. One of those items was to sort out an appointment with the GP, so I did. 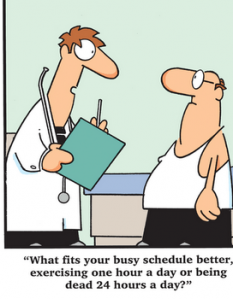 By the time I got to the GP, it was almost the end of the month. By then, I was waking up daily with sharp pains that would slowly go away during the day as I moved around, but sitting down was always way too painful. I got prescribed once again anti-inflammatory meds and was over the moon. They had worked really well before and were therefore bound to work again. Five days later I was worse, much worse. It was a Saturday and my feet were numb. I found myself dragging my feet around and the pain was too great to bear. Sleeping was horrendous as my calf would burn up and I had to keep massaging it to calm it down. I cried. I didn’t know what to do, I considered calling an ambulance but it was Saturday night, possibly the worse night to go to A&E. I fell alseep and woke up feeling a little better albeit still numb. During the next couple of days, the sharp pain would return but I’d massage my legs back to numbness and all would be fine again. That Monday I called the GP and got referred to an MRI, they couldn’t guarantee an appointment sooner than 2 weeks. I panicked and go prescribed stronger meds. The following day, it all became too much. My sister had come over to help out at home with the kids and didn’t like what she saw. The numbness had now moved up to my coccyx area, something was seriously wrong. Without delay, my sister instructed the boys to pack their bags, they were going to sleep over at her house and I was going to A&E. She contacted my husband and got him to come home. At that point, I could no longer walk without support, my feet dragged and I had no balance. With great difficulty, I stumbled out of the cab and found a railing, I held firmly on and made my way to A&E. A few minutes later, I was giving my details to the receptionist. After finding me in the system (and realising I didn’t live in a caravan in Manchester), I got passed to the next desk. My legs were giving way, I could no longer stand there detailing my troubles, yet I couldn’t help but wonder how much they believe you and how much of an act they think people put on when telling them all their problems. I headed to the waiting area. It was full, after lying across a couple of chairs in an attempt to ease the pain, I started to scan the room for a good spot to lie down. This was A&E after all, if you’re not dying, you’re not priority. Minutes later, I was being called, ahead of everyone else. I was delighted but also quite worried. Was I really an emergency? For the next couple of days, I heard that word a lot: Emergency. The next morning I had an emergency MRI and realised just how claustrophobic I am; I enjoyed a little morphine thanks to the chatty porter who demanded some pain relief for the young lady who’s in a lot of pain; and I got my first ever bed wash! Humiliating but very welcome. 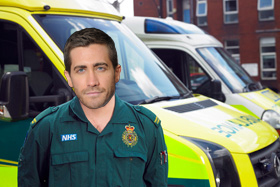 From there, I got transferred to Charing Cross hospital by a Jake Gyllenhaal lookalike for an emergency surgery. As the doctor explained, I was priority on their emergency list and was going under the knife 1st thing in the morning, unless someone arrived and needed surgery as a matter of life and death. I was excited! Sure, I was also scared by the things that could go wrong, but I was looking forward to walking again. I had told my son that as soon as Mummy was better, we would play football, so I focused on that. It was 6 am and I was getting prepped, to start with, a nice bed wash and a change of sheets, I was getting used to this now. I then got visited by one of the surgeons as a matter of courtesy, and by an anesthetist to explain the process. At 8am the world was moving upside down as my bed got wheeled to the prep room. I saw bright lights as the oxygen mask covered my face and woke up in a rather large room with lots of space for other beds. I was in recovery and drifted in and out of sleep always waking up with a new face staring down at me. But then I panicked. As I moved my feet, they still felt numb. The pain was gone, but the numbness remained. I could have cried but I was so terribly dry and thirsty from the procedure there were no tears. As a result of a tear during the operation, spinal fluid leaked. I would have to remain horizontal for the next 4 days to get it drained! It seemed like a task, 4 days of sipping water through a straw, lying sideways to eat some soft food and relying on a bed pan, which just wasn’t happening. Thankfully I was relieved of this bed torture by day 3 and was back on my feet, almost! I have now been home for 4days and recovery seems far away. I have battled with insomnia and am finally able to get a decent sleep again, my taste buds are coming back and along with them my appetite and coffee drinking habit, but my feet are still weights at the end of my body and my coccyx is still numb. Of course I have Googled it and people do recover, even if it takes a year but I’m human and all I focus on at times is the chance that the damage could have been permanent. I had my first breakdown yesterday when the physiotherapist came to visit but quickly dried my tears. It really is stupid. So I can’t walk properly, my legs are very weak and using the toilet is a mission, but I’m not incontinent and I’m moving around and the strength in the leg muscles will definitely come back. I have had an amazing amount of support from family and friends and the boys’ faces when Mummy came home was priceless. Sometimes I feel sorry for myself, this certainly wasn’t planned, and could have been avoided by me not just “trying to get on with it” so often and doing the bleeping pilates. But I’m alive, I’m functioning well, I’ve got full control of my mind, body and soul and it’s not a couple of limbs that will drag me down. I might not be fully healed yet but I am great and one day, I’m going to play football with my boys.